The Directors, Mr Rajesh Prajapati, B.E. 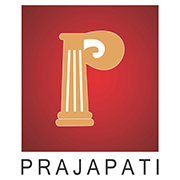 (Mech) And Mr Rakesh Prajapati, B.Com Graduate, Sons Of Well Known Philanthropist Late Shri Rohitashwa Prasad Prajapati, Formed This Company On The Foundation Of Quality Construction & Timely Possession. Over 20 Projects In Navi Mumbai & Hyderabad – Which Encompass Over 1 Million Sq. Ft Space And Over 1500 Units- Have Been Delivered On Time, If Not Before. The Group Is Also Into Information Technology & Provides ERP Solutions To The Diamond Industry Through Its Sister Concern Fauna Technologies Pvt. Ltd.